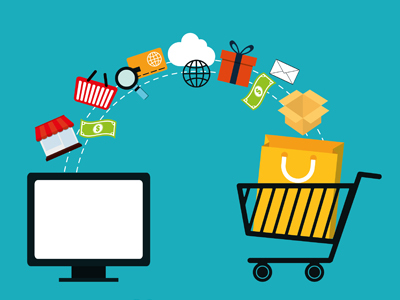 The savors of e-commerce have been successful pulling a large number of enthusiasts towards it. However, in 2015 and years to come, there is expected a significant rise in electronic commerce economy. As an entrepreneur is diving deep into the ocean of e-commerce world, this can be the promising factor of sustainability and success. Whether you are part of phenomenal e-commerce world or planning to get involved in it, It’s now time to do so. But before getting in such a full world of online, you must be aware of some of the facts. Wondering what are those? Here’s a checklist for you. Often small e-commerce businesses rush to launch their store, which adds nothing to their bag but disparity. In your entire entrepreneurial life, you will get only one chance to start your business which should not be messed up in urgency. Although it’s OK to book your domain and create some hike by launching an iconic campaign, however, never try to make online presence without doing proper things .i.e. content marketing, social media, and local SEO. Believe it, whatever hardships you’ve laid in developing gigantic back-end or do whatever with the features, the absence of appealing user interface will never help you getting visitors to your site. Since these are the visitors, who turn into buyers, which is why it is imperative to have an engaging front end. After all, this is the compelling layout that gets convert visitors into the shoppers. Before triggering your start up online, the best ways is to test it as much as you can. More appropriately, apprehend you are the customer. Now figure out what’s best and what’s worst? Furthermore, ask yourself as many questions as possible. To some of the industry specialists, testing shouldn’t be done only at an initial level. Testing indeed is a continual process that should go on and on. Many e-commerce businesses worship social channels only in initial days. Afterward, they either let these channels for someone else or don’t devote the desired time. Staying connected with the social world brings an immense wave of ideas. It enables businesses to know what other people are doing and what should be done by us? The history witnesses that many e-commerce ventures only rely upon the web. Whereas, they totally neglect the importance of mobile commerce. In such a mobile era, where 1 billion people hold smartphones, this is, therefore, important to include native mobile application in your strategic plans. Done all necessary changes, got the very engaging layout, optimized your site, you think it’s enough? Think again. In an e-commerce world staying on top needs persistent and up to the minute changes. So if you have planned to take your business to never ending the online world, then always use proactive approach, only then you will be able to earn some important position. Would rather wish to walk on other crunches or to build your own corporate identity is your ultimate goal? If your mission is only to make your store and not to take it to the next level, then you shouldn’t worry about content. However, if you got a big dream, then you will have to compete with the relentless waves of Google too. Are you wondering how? Content is the answer! Producing live and original content will help you growing your business tremendously. Staying connected with your visitors through email marketing adds value to your business. Time to time emails helps your customers in realizing that you do care for them. Besides giving privilege to your prestigious clients, it keeps them aware of the latest happenings of that particular business. Jumping straight away into the vast and the most active world of commerce is not always easy and rationale. For newbies, this is always advised to take your start by considering the local market. Some industry experts say that this myth only goes for those who own brick and mortar stores. However, this is not always the case. Making strong foundations by targeting local market and then trying your luck with the .com world would safeguard you from any imminent threat. Above mentioned are some of the suggestions only. Whereas, the list goes on and on. On the other hand, case varies from industry to industry. Strategy opted by one may not work best for another. In case you need to keep yourself with the most accurate information, we would ask you to stay tuned to our blog.